MessiIsPro. CrazzyMen. Images in the Lionel Andres Messi club tagged: lionel andrés messi fc barcelona. 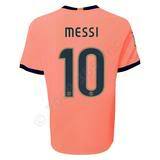 This Lionel Andres Messi icon contains jersey, t shirt, and tee shirt. There might also be camise.